- 130 contact hours, covering the five main syllabus areas plus additional sessions on specialist topics such as Teaching Young Learners, Drama and Songs, Storytelling and Technology. - Permanent training team, available at all times. CELTA courses since 2004. - Demonstration lessons and video-observations built into the course timetable. - Free lunches, tea and coffee. - Use of the university library including the British Council ELT collection. - Free Wi-Fi and internet access throughout the campus. - Dedicated trainees’ room with multiple networked laptops, printers and photocopying facilities. - Technical support from the university IT department. - Spacious, comfortable input room. - Air-conditioned classrooms fitted with projection and audio facilities. 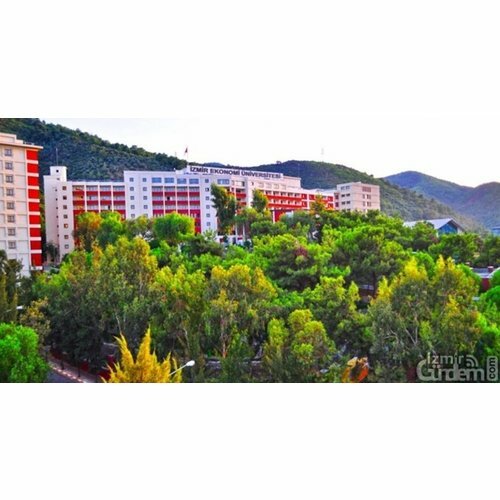 - Campus facilities: Starbucks, Sir Winston, canteen, stationery stores, health centre. - Manageable part-time schedule. Just two weekday evenings and Saturdays, spread over ten weeks. - Full-time and part-time employment opportunities for successful candidates at Izmir University of Economics and many other local institutions. Where do IUE CELTA graduates work? As part of the application process, we will send a list of housing options to all candidates coming from outside Izmir. The most preferred one is the dormitory near our campus. In order to provide you with the best service possible, Izmir University of Economics needs to know a little about your specific situation. If you have questions, please first select a course from the list on the this page. You can always change course dates later. Overall, it was a good experience. It gave me a chance to reflect on my shortcomings as a teacher. What I am not sure about is topics of input sessions. For instance, use of technology and giving dictation could have been given in first week. 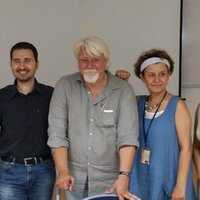 Aynur's teaching style, hadun's technological expertise and Bahar's welcoming gesture inspired me a lot. I wish to teach like Aynur. Everything was great... the food, friendly staff,facilities,etc. Thank you for making life lasting memories. It was an excellent experience..Every body from the university was kind..helpful and sympethetic. I am so happy of chosing this university for my CELTA. It was the most beneficial experience ever . Having a chance to meet such knowledgeable and professional tutors made a huge difference in my life . I wish to come again and again for more courses . Everything was perfect. Thank you for all you have done. I am really pleased to know such wonderful people. It definitely was one of the best experiences of my life. Even though I was sleep deprived for a whole month, the tutors, trainees, and students made it all worth it. I learned so much from all of them, and I would go for another month of the course if I could. It gave me some of my most precious memories and lots of invaluable information. Thank you to everyone who was with me during the course! All in all everything was satisfactory. Tutors were caring and supportive, especially Funda. Being a CELTA trainee at IUE has been one of my most memorable, precious, invaluable experiences. It was an honour to be Steve, Haldun, Aynur, Funda and Bahar's student. I've learned a lot in a friendly, kind and supportive atmosphere. Everything was beyond perfect especially the tutors. The friendly environment there, made CELTA easy, enjoyable and memorable. I miss everything there. Outstanding tutors providing intense but unforgettable learning experience with their support, professional approach and amazing personalities. It was great. Would even say that it was one of the best experiences of my life. The tutors and other students were amazing. But I think that the course could be 1 or 2 weeks longer. This would help to strengthen the learning experiences. It was an excellent course and I learned a lot besides had most enjoyable days of my life. A very informative, productive and beneficial experience that I will be able to use for the future. Also, a great opportunity to meet new people and make friends from different sides of the world. Overall, it was a month full of emotions, connection, and learning. a wonderful experience which made us a different teachers from what we used to be. It was one of the best courses I've ever attended. It was the best ever experience of my life. Although the course was the toughest yet our tutors, staff and the course mates made it as easy as it could be. Loved it. I can say that it was one of the best experiences of my life. The trainers, trainees and the students were amazing. The facilities offered by the centre made this intense course run smoothly and easily. I gained skills, and tips that will help me make a difference in my teaching career. I would 100% recommend doing the CELTA in Izmir University of Economics. IUE is the best place where students are valued and respected. 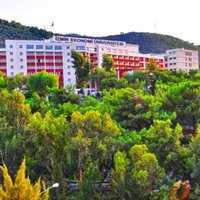 I wish to visit Izmir University of Economics again. It was the best experience of my life. Celta tutors are all wonderful. Thanks a lot for all their effort, amazing input sessions and everything they have done. It was great to work with all of them. Great learning experience. Intensive but rewarding. Made some great new friends. Everything was extremely professional and relevant. You have got an excellent CELTA tutors team. Every tutor was very helpful. They always wanted to be with us when we had a problem. I love them. They are amazing. The CELTA course is an experience unlike any other I have had. The work is intense, and the expectations are high. Yet I learned so much about the pedagogy of teaching English as a second language, and I was able to put what I learned into practice immediately. The feedback was incredibly helpful to my growth as a teacher, and the support I received from both tutors and peers made this program truly exemplary. One day (Saturday) is not enough to teach the celta students how to teach especially if they are unexperienced. It should be at least two days. It was a wonderful experience. I enjoyed the course and it was a great pleasure to work with my tutors. I found their feedback helpful and constructive for my development as an English teacher. The course was as intense as it was educational. From theory to practice, it was an all around beneficial experience. During the entire course, the tutors' professionalism ensured a high quality education. But in the end it was their accommodating and warm guidance that made those weeks so enjoyable. I was greatly inspired by all tutors' positive approach and genuine desire to support the students. This once in a life time experience helped me reflect on life in general rather than only the language itself. It was a great experience... I used to think being a native English speaker was sufficient to teach English, but after taking this course I realize how wrong I was! Thanks to all who made it so enjoyable for me. I wish it could be a regular course that I can attend every summer, thats how much I enjoyed it.. It has been an amazing experience. I enjoyed the course, it helped me gain self-confidence. Tutors were very helpful and dedicated. I enjoyed Teaching Practice (TP), I found the feedback extremely constructive and helpful in my development as a teacher. A great experience wiht very professional but at the same time friendly atmosphere. I strongly recommend! I believe that it is a great way to learn how to teach, I never known were I stood without the Celta course. Overall, everyone was so kind and helpful and the course itself boosted my confidence in general not just in teaching. It was one of the best experiences of my life. Overall, it was a great honour and pleasure to work with our tutors. I have learned many things thanks to them and I've opened a new page in my career. Our tutors were all amazing, very experienced and they are masters in ELT. They were always very available and willing to help us. It was a great experience and I learned a lot. Great atmosphere, fantastic group. I highly recommend it. The course was run very professionally and was done in a way that made it fun and very interesting, the facilities were excellent. One of the most rewarding and challenging experiences of my life- would highly recommend it. It was a great opportunity to meet new people and benefit from experienced, helpful and very friendly tutors. It was a wonderful learning experience. Celta course at Izmir University of Economics was the best course I have ever attended. The tutors were really helpful, supportive, professional and very well prepared. I have learned a lot from them. The course was a very rich, informative and innovative experience. The year that followed my holding of the CELTA , was the best year in my career. Even my students said that "Your teaching is more exciting and interesting". I came as the best English teacher for three different evaluations in my school that year. I feel much less stressed , more involved and innovative in teaching. I could finish the academic year with various strategies that attracted my students and let them enjoy the learning and teaching processes. Thanks to CELTA and its amazing tutors. Most of the tutors in the course were very helpful.